Woot!!! Here is a steal for you!! Part of the Amazon deal of the day today is up to 50% (or more!) Hasbro and Play-doh Toys. 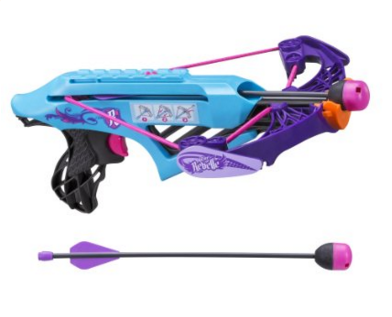 Well the Nerf Rebelle Courage Crossbow Blaster is just $7.99!! Reg. $21.99!! That is a HUGE discount!! Shipping is free with Amazon Prime. Includes blaster, 2 arrows, and instructions. Go over to Amazon now! !